Fridays are always a half day for me at work. They also normally consist of some sort of beer consumption. 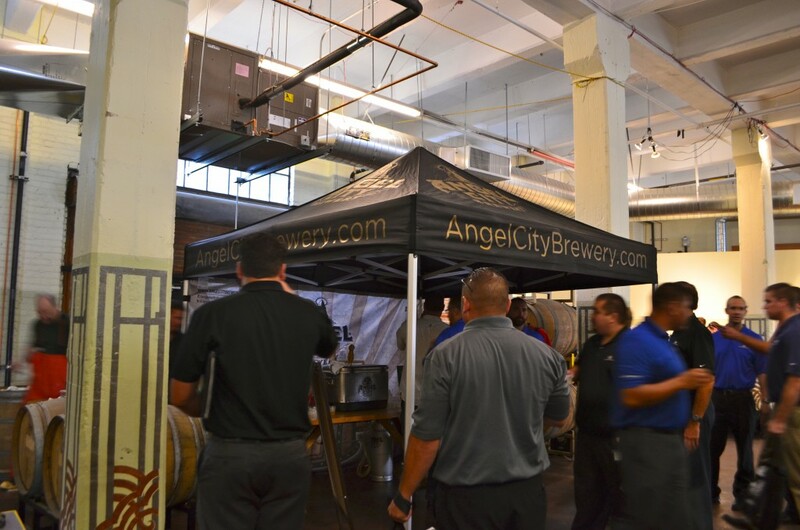 Last Friday we had a field trip day and were introduced to the good people at Angel City Brewery in downtown LA. 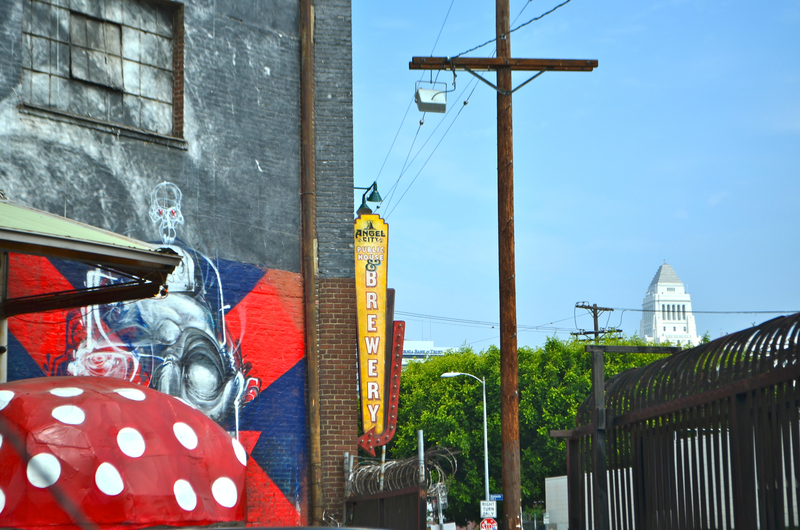 Angel City Brewery is located in the Arts District and covered with random and sometimes awkward works of art. 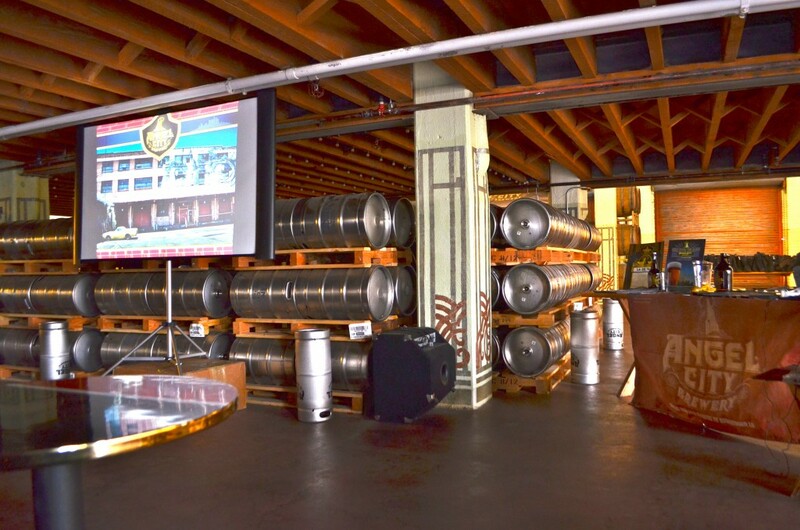 We escaped the balmy heat and filed into the breezy brewery and tasting room to watch a quick little slideshow and hear about the history. Then it was tasting time! 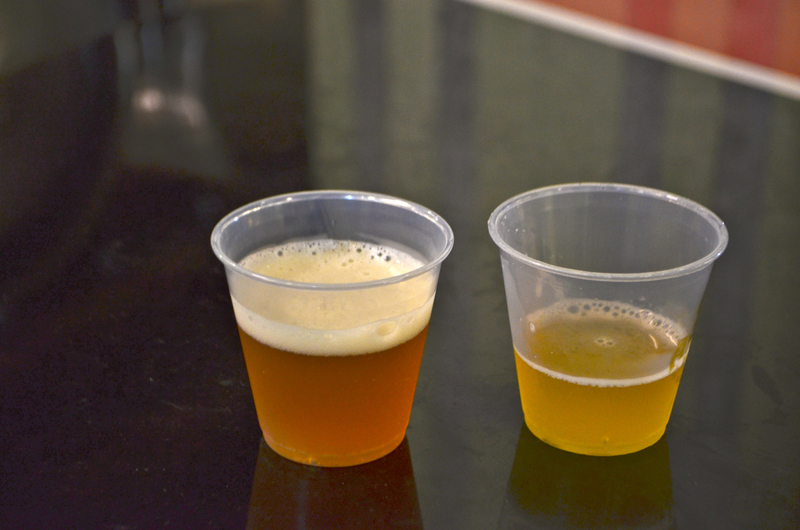 They started us off with their two flagship beers. Angelino IPA and Eureka! Wit, respectively. 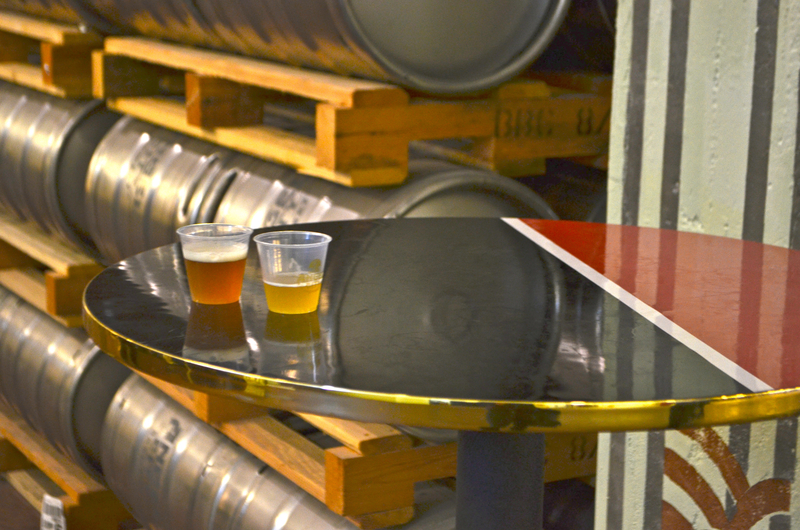 After these little samples, they gave us drink tickets and sent us to the tasting room. 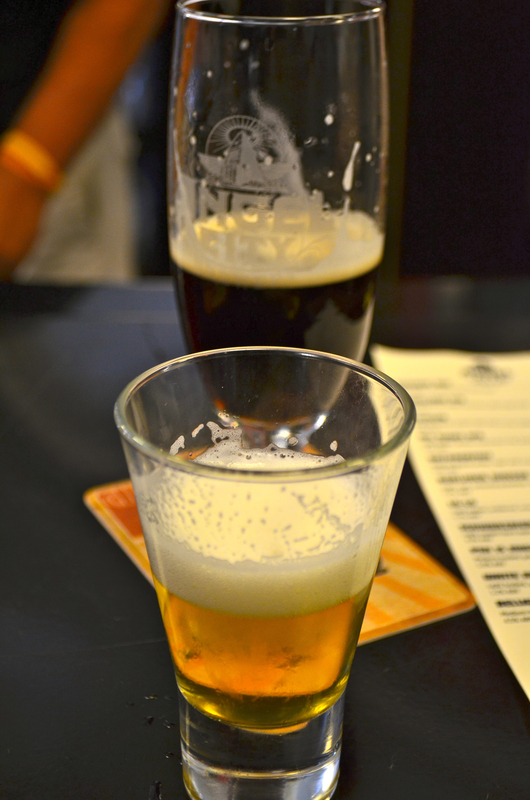 I got mini pours of almost all the beers. 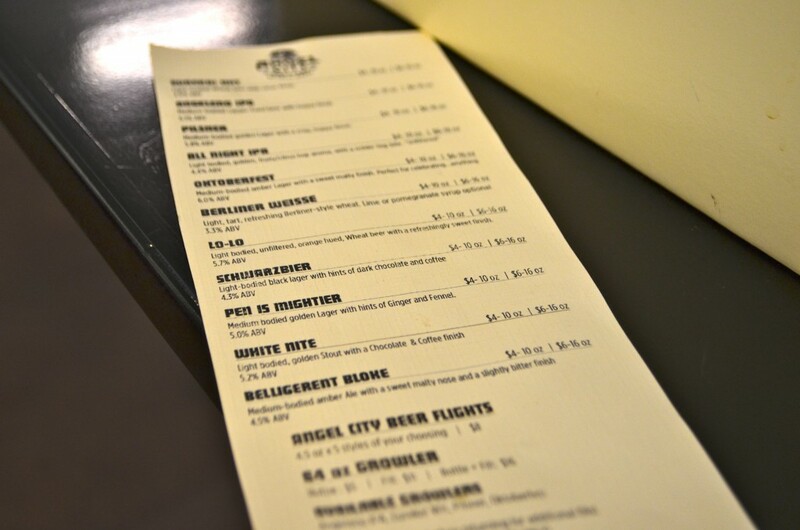 Their Berliner Weisse was one of my favorites – dry and tart without being overly sour, and extremely sessionable at 3.3%ABV. 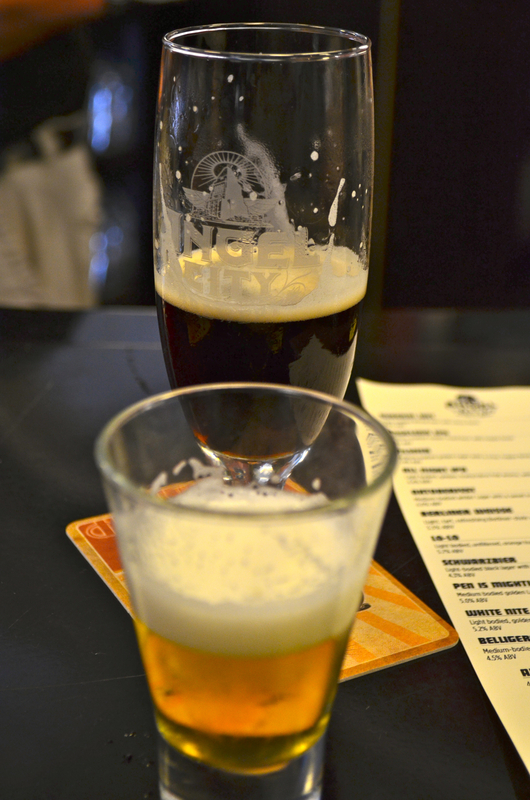 The Schwarzbier is also incredibly solid – nice and roasty with a clean finish. Dieter Foerstner is the head brewer and kindly poured us tastes and discussed the different processes he goes through with every beer. White Nite is one of the more interesting ones – a “golden stout” which is gold in color with the roasty flavors of a stout due to the addition of coffee beans and cacao nibs in secondary. That beer was the favorite amongst the group. 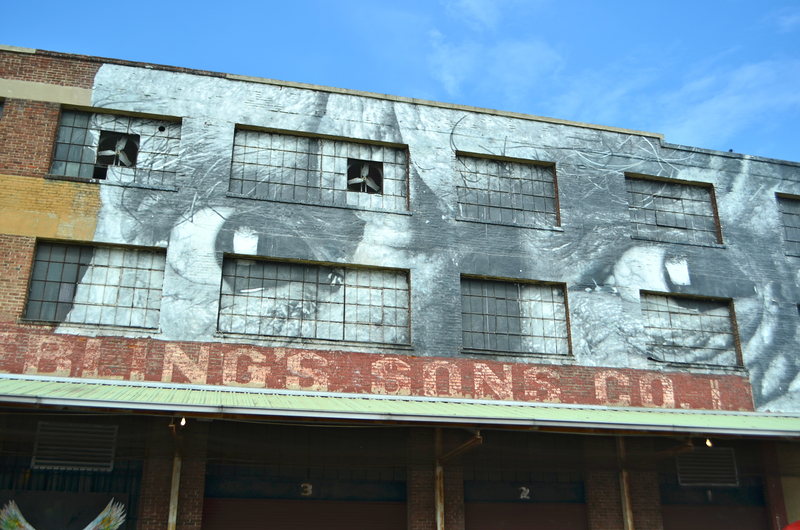 Unfortunately we got too busy to attend a brewery tour. 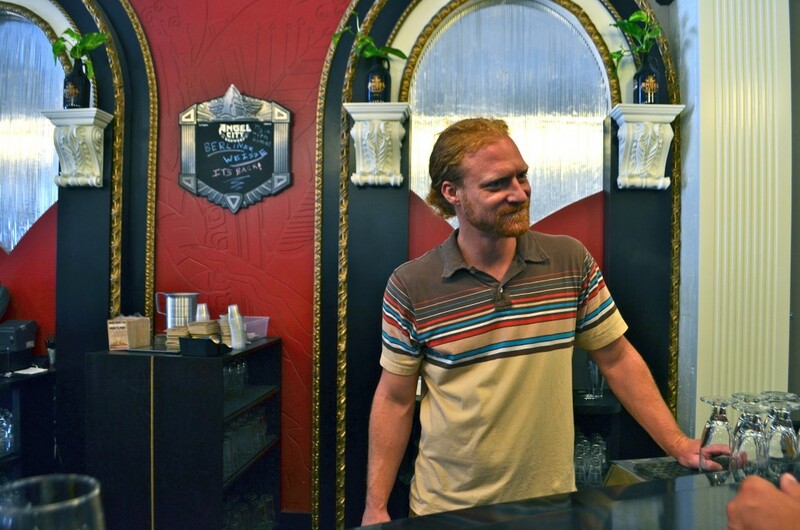 I’ll just have to go back AGAIN and try more beer AGAIN and get the official tour. Ugh. 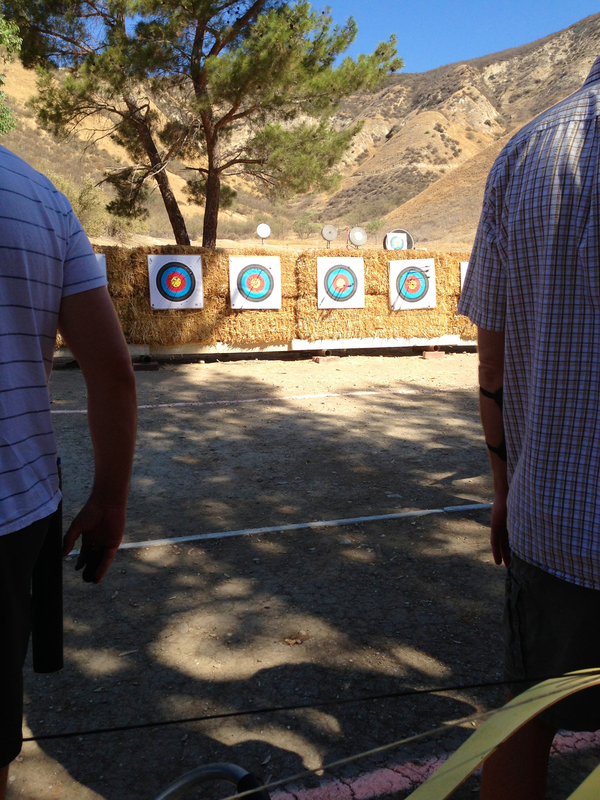 Saturday consisted of my new tradition – archery! I’m actually going to be buying my bow next week! Pictures and declarations of adoration to come. 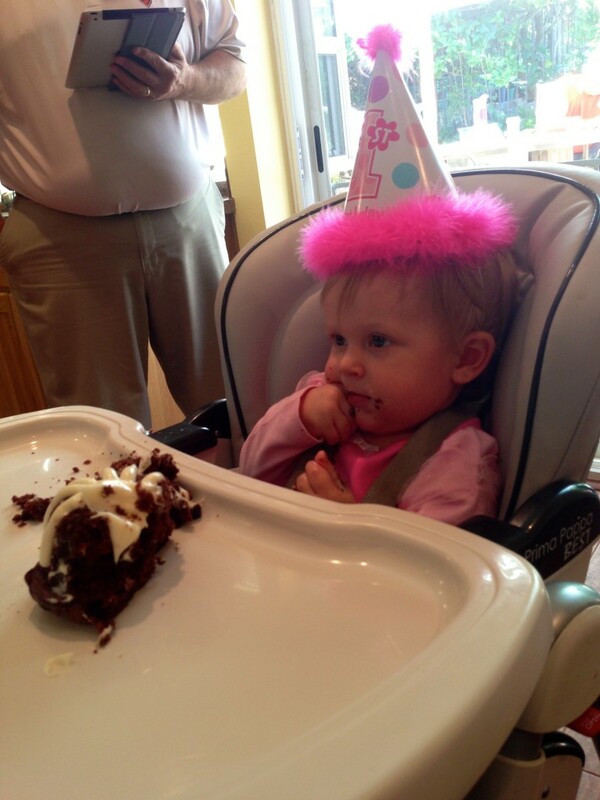 It was also the first birthday of little Avery! I can’t believe how big she’s gotten!!! And that hair! I’m off to enjoy the last few hours of freedom before going back into a long work week. Happy Sunday!